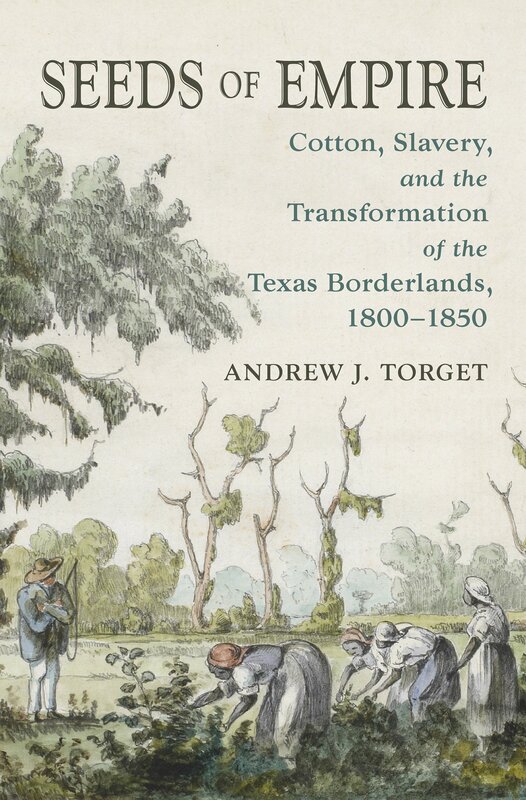 By the late 1810s, a global revolution in cotton had remade the U.S.-Mexico border, bringing wealth and waves of Americans to the Gulf Coast while also devastating the lives and villages of Mexicans in Texas. In response, Mexico threw open its northern territories to American farmers in hopes that cotton could bring prosperity to the region. Thousands of Anglo-Americans poured into Texas, but their insistence that slavery accompany them sparked pitched battles across Mexico. An extraordinary alliance of Anglos and Mexicans in Texas came together to defend slavery against abolitionists in the Mexican government, beginning a series of fights that culminated in the Texas Revolution. In the aftermath, Anglo-Americans rebuilt the Texas borderlands into the most unlikely creation: the first fully committed slaveholders’ republic in North America. Seeds of Empire tells the remarkable story of how the cotton revolution of the early nineteenth century transformed northeastern Mexico into the western edge of the United States, and how the rise and spectacular collapse of the Republic of Texas as a nation built on cotton and slavery proved to be a blueprint for the Confederacy of the 1860s. David J. Weber-Clements Center Prize for Best Non-Fiction Book on Southwestern America, Western Historical Association. William M. LeoGrande Prize for Best Book on U.S.-Latin American relations, Center for Latin American and Latino Studies, American University. Ramirez Family Award for Most Significant Scholarly Book, Texas Institute of Letters. Honorable Mention, Frederick Jackson Turner Award, Organization of American Historians. Coral Horton Tullis Memorial Prize for Best Book on Texas History, Texas State Historical Association. Kate Broocks Bates Award for Historical Research, Texas State Historical Association. Ottis G. Lock Prize for Best Book of the Year, East Texas Historical Association. Summerfield G. Roberts Award, Sons of the Republic of Texas. Honorable Mention, Deep South Book Prize, Summersell Center for the Study of the South, University of Alabama. Foster Memorial Award for Literature, Brazoria County Historical Museum. Best Book Award, Texas Old Missions and Forts Restoration Association. Publication Award, San Antonio Conservation Society Foundation.